ARE YOU LIVING YOUR INSPIRED LIFE? Are you feeling that it's time to make a change, to move more purposefully towards your goals or to pursue your dreams like never before? Have you been feeling the pull this year too? This workshop was created JUST for YOU! It wasn't long ago that I started feeling the stirrings of change & the pull towards the desire to live my life more fully. I had no idea where to start but I KNEW it was time to begin. As I walked this path, I found ways to help clear the way for me to move forward a step at a time towards the life I wanted to be living. It's been an amazing journey and I want to share what I've learned with you so that you can make the shifts you've been longing to make! Sounds amazing right? 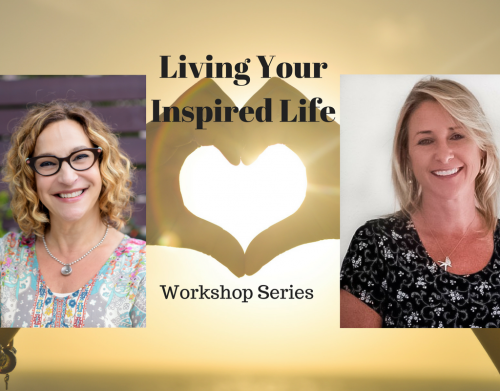 Join Elizabeth Miner and me for a full day workshop where we will share tools and resources to help you tap into the aliveness that is already within you, so that you too can live the life you want.